The store is set to measure about 154,000 square feet and would be situated on a 26-acre parcel of land west of the Home Depot store. 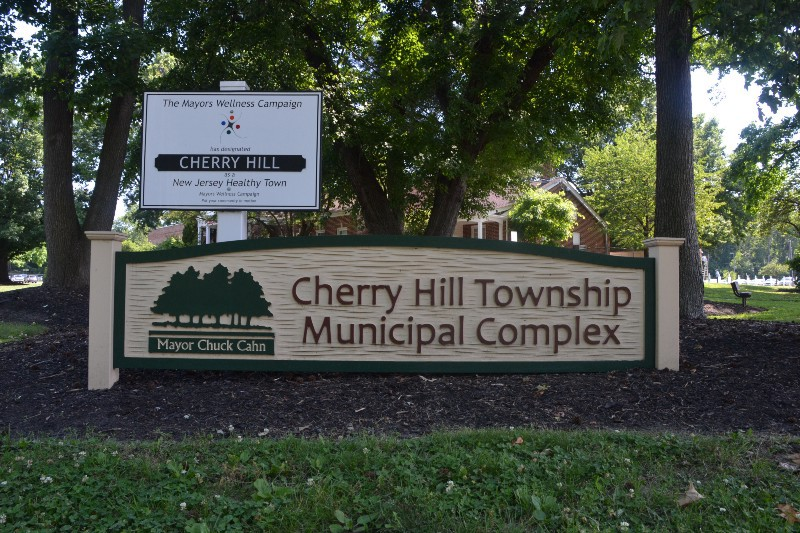 That was the news out of this week’s Cherry Hill Township Planning Board meeting, where the board unanimously approved a preliminary and final major site plan for the warehouse-club retailer in the Garden State Park complex. The store is set to measure about 154,000 square feet and would be situated on a 26-acre parcel of land west of the Home Depot store, between Garden State Boulevard and the Atlantic City Rail Line. Rather than the typical metal paneling used for many of Costco’s stores, representatives of the developer said they worked with township officials to design the sides of the warehouse with brick materials to match other buildings in the complex. In addition to the main Costco building, the board also approved a 4,500-square-foot retail store to be attached to the Costco, the occupancy of which is unknown at this time, and a separate retail building measuring nearly 15,500 square feet, with a letter of intent for use from retailer Duluth Trading Company. The board also approved the developer’s request for a nine-pump gas station at the site, with two dispensers at each pump, to be located toward the southern end of the parcel, which Costco representatives said would be at least 1,150 to 1,200 feet away from the nearest townhouse. The idea of a fuel station at the site has drawn the ire of nearby residents and activists in the township, including last August when the township voted to amend a zoning ordinance to allow gas stations as an accessory use to principal retail businesses within the township’s regional business B4 zoning district — the same area where the Costco has now been approved. Critics called the move an example of illegal spot zoning, but township officials pushed back against the claim, and as of last August when the change was made, township officials noted there were 27 lots within the B4 zone large enough to allow for a gas station to be built for accessory use. As of 2001, the site of the proposed Costco and additional retail space was originally approved for more than 1 million square feet of office space and a 150-room hotel to create a mixed-use town center with nearby transit, but the offices and hotel never materialized. In response to the developer’s application, the board also approved a change in the general development plan for the proposed site, replacing the formerly approved hotel and offices with the Costco and other retail. As a condition of approval, the developer was also required to post bonding for a future rail crossing over the Atlantic City Rail Line, to be constructed by, and at the discretion of, New Jersey Transit, which would ultimately connect a road from the Costco site and greater Garden State Park complex to the adjacent Garden State Pavilion complex. Some further conditions of approval included complying with all air quality standards, submitting a supplemental environmental assessment and complying with Camden County noise regulations, limiting deliveries to the site from 7 a.m. to 10 p.m. The board issued its decision to approve plans for the Costco at this week’s meeting shortly before 1 a.m. on Wednesday morning, but not before listening to about five-and-a-half hours of testimony and other comments from representatives and expert witnesses from the developer, professionals from the township and concerned residents. Councilwoman Carolyn Jacobs, who serves on the planning board as the mayor’s representative and who voted “yes” to changing the general development plan, said the plan was created 15 years ago under different economic conditions. “Although it would be wonderful to still to be able to live by that general development plan, there apparently has been no interest by anyone for 1 million square feet of office space or that hotel,” Jacobs said. Board chair John Osorio, who also voted “yes,” noted the developer had requested no variances or design waivers in the application. “I think they met the burden in regard to this application and it conforms with the land plan use law,” Osorio said. The only two of the nine board members opposed to changing the general development plan were Alise Panitch and Sheila Griffith, who each cited potential negative impacts to nearby residents. “My grave concern is putting arguably the lowest gas in the region here on Garden Park Boulevard where residents are very reliant on traffic and safety for their community,” Panitch said. Among the residents who spoke to Panitch’s point at the meeting was Kerry Dinter, who lives among the properties behind the proposed Costco and who criticized traffic in the area along Garden Park Boulevard and nearby side streets. “I have two young children that cannot ride their bicycles, can’t even walk their dog on Garden Park Boulevard … I ask any of you to come and spend $500,000 plus to look at a warehouse,” Dinter said. Hours of the proposed Costco are 10 a.m. to 8:30 p.m. Monday through Friday, 9:30 a.m. to 6 p.m. on Saturday, and 10 a.m. to 6 p.m. on Sunday. The gas station is scheduled to open at 6 a.m. and close an hour after the main building closes. Costco representatives at the meeting gave no time for any planned start of construction.